Get your immunity in tip-top shape before winter strikes or when you are feeling fatigued and in need of a pick-me-up, by indulging in this super booster juice full of antioxidant vitamins. 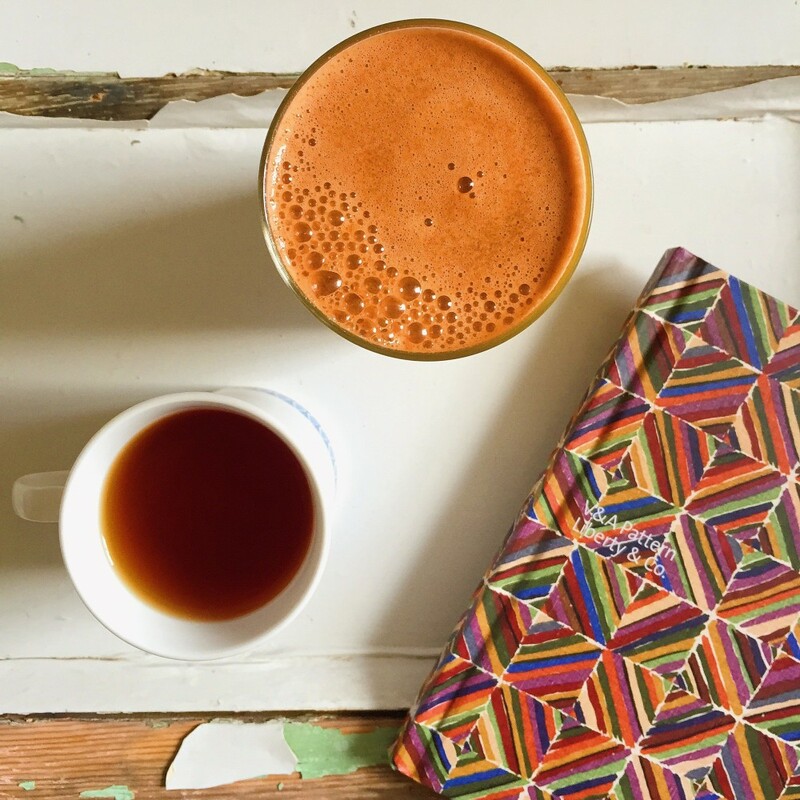 This juice is full of invigorating carrots, celery and tomato (a great way to get in your five-a-day) and a sure-fire way to give your body an instant boost. The best way to get a variety of antioxidants into the diet is to eat the colours of the rainbow. Each colour provides its own unique antioxidant effect, so carrot will provide one type of antioxidant and tomatoes another. The primary food source of all antioxidants is plant-food, which are high in phyto-chemicals – compounds that occur naturally in plants. Carotenoids found in carrots and tomatoes for example, help to enhance the immune system. A good reminder - the more plant-based foods we eat and drink the better it is for the planet. So another great reason to juice-up and drink-up! Juice all the ingredients and serve immediately.